Database Systems Corp. is a leading provider of telemarketing technology including call center software and computer phone systems. 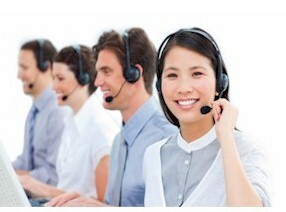 DSC also offers automatic telemarketing services using our secure call center located in Arizona. Non profit organizations and businesses alike can reduce costs and improve service by using our inbound call center phone service and outbound voice messaging center. Database has been developing computer software and system solutions since 1978 including our phone answering software - thus we are uniquely positioned to manage your call center campaigns saving your organization both time and money. Voice broadcasting is a telemarketing technique that broadcasts pre-recorded phone messages to hundreds or thousands of call recipients at once. This technology has both commercial and community applications. Phone messages can be sent to customers in bulk fashion or can be delivered to community members in the event of an emergency. Our voice broadcast outsourcing services can be managed directly using our secure website. Phone lists and voice recordings can be downloaded via the web to our call center and your phone campaign can be started online as well. For emergency voice broadcasting, we even provide an 800 number to call to initiate an emergency broadcast to your employees or community. Our outbound telemarketing dialer calls numbers from a computer managed phone list. The DSC autodialer delivers messages to individuals or answering machines or can distribute the calls to live operators. There are several types of telemarketing autodialing techniques that are supported by our contact center phone systems. Besides voice broadcasting which is describe above, the following telemarketing autodialer techniques are used in conjunction with "live" phone agents. These agents are either local to the contact center or can be working from home or in remote locations. Preview Dialing allows your service representatives to view the call information prior to the call being placed. The agent can decide not to initiate the call.